MIT-based startup Sistine Solar has successfully created photovoltaic solar panels that can be printed with a camouflaging layer to improve aesthetics. An MIT-based startup designed customizable photovoltaic tiles that camouflage to match home features. In a sector where most efforts focus on improving the efficiency of PV panels, enhancing aesthetics could entice picky homeowners. What’s more, the method of development could inspire further advancements. According to GreenTech Media, the number of residential solar panels in the US hit the 1 million mark sometime around February 2016. Still, that is less than 1% of the 125 million U.S. households. Of all the renewable energy technologies, solar seems to be the most accessible to residential applications in terms of system design and installation. Yet, even though rooftop tiles enable homeowners to gather clean energy, they can often drastically change the appearance of the home. While conversion efficiency of photovoltaic rooftop tiles takes priority over aesthetics, manufacturers are becoming more aware of this disadvantage. Improving upon the design of Tesla and its rooftop solar tiles, Sistine Solar took another approach to developing PV panels that blend in with the environment, giving another boost to the nascent field of aesthetic solar. 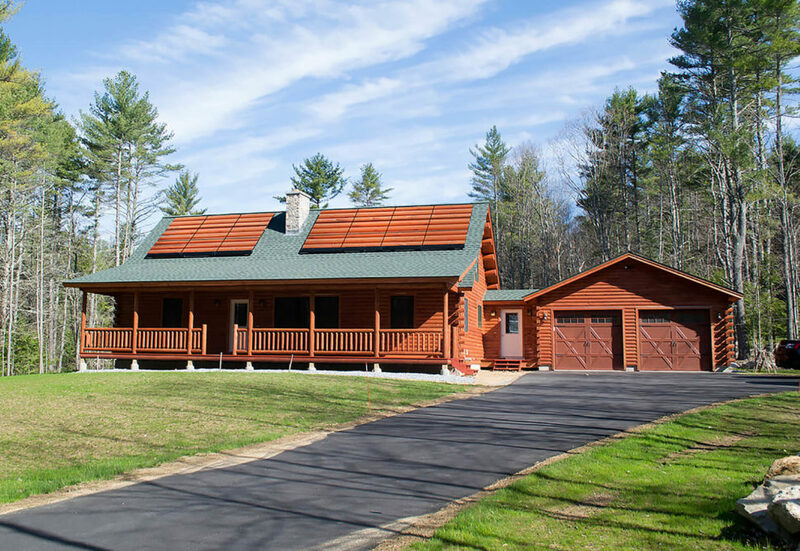 Sistine Solar created a photovoltaic system that can be customized to seamlessly blend with the roof, mimic rooftop tiles, asphalt shingles or grassy lawns. Winner of the Renewables Track of the 2013 MIT Clean Energy Prize, the system is based on a technology called SolarSkin, which is a layer that can be printed with images and integrates with the panel without being detrimental to efficiency (15-17%). Homeowners looking for elegant PV systems would probably be willing to accept the costs (10% more than average systems). Other than home rooftops, SolarSkin technology will have many applications. For instance, a business could, at once, tile their office to save on energy costs and also have a snazzy advertisement printed across the tiles. SolarSkin could also be used to coat existing infrastructure such as road signs, highway noise barriers, bridges, and water towers. Sistine is known as an “aesthetic solar startup” that was the result of four engineers and designers that joined forces, each sharing their dream of a world powered by 100% renewable energies. Their vision couldn’t have come to fruition without the backing and sponsorship of other parties. The team called upon the expertise of Fraunhofer Center for Sustainable Energy Systems, and a modest grant from the U.S. Department of Energy to create their prototype that won them the MIT prize. Then, thanks to another substantial DOE grant ($1 million), they founded and launched Sistine Solar at the MIT Sloan School of Management. Beyond making solar panels more commercially viable, this is important because it shows how universities and their commercialization infrastructures will be the main driver of innovation and an incubator for industry. Universities will receive the talent and help allocate it most effectively: students will apply to study in specific programs and funding will come from businesses and government grants. Take Sistine Solar, MIT, and the U.S. Department of Energy, for example. Then, research would identify gaps in the technology and work to improve it; once a commercially viable option is feasible, the university accelerators will create startups to commercialize the technology. This will create a circular economy around research and development. It will prove to be a more efficient way of getting the goods we want to see in our bright future.